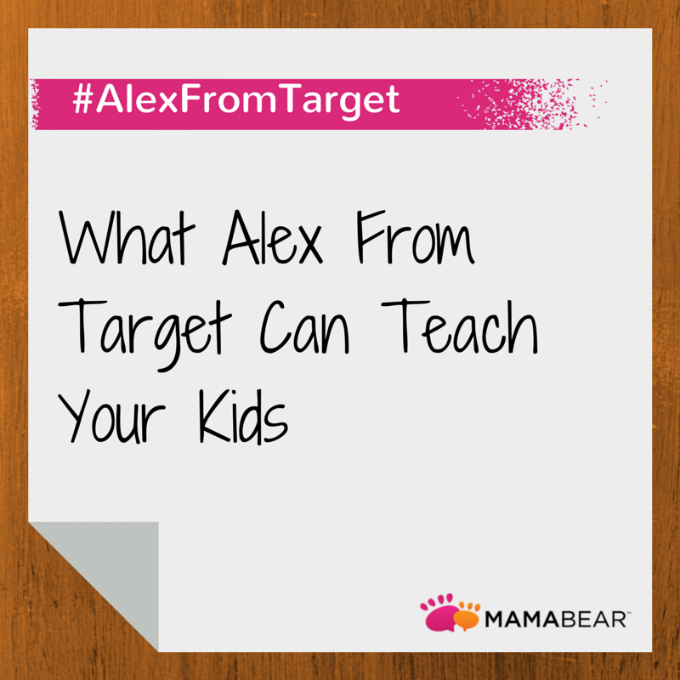 A few weeks ago Alex Lee was a normal, 16-year-old high school student working at Target. He was an average social media user and had 144 Twitter followers. But with one unsolicited photo and a catchy hashtag, Alex is now “internet famous.” He has over 70,000 Twitter followers, appeared on the Ellen Degeneres show, and has fans waiting in his line at Target to capture their own selfie with #AlexFromTarget. Alex’s fame, like his photo, was unsolicited. He was merely going through the motions of a normal day when 15-year-old Brooklyn Reiff captured his photo and Tweeted it to her friend. Brooklyn didn’t plan on the photo going viral, but it did. Alex’s photo along with the hashtag #AlexFromTarget was retweeted 800,000 times. And while this may sound like an exciting situation for the teenagers, it brings up some pretty scary implications about what can happen through the power of the Internet. It also brings to light some important social media lessons that parents should share with their kids. The world can see what you share on the Internet. Brooklyn didn’t plan on making Alex an online star. She meant to share his photo with her friend, not the world. But because she used a non-private account on Twitter, her photo was available to everyone. Kids and teens need to realize that the content they share has the potential to be seen by thousands of others and that mass-exposure has its negatives. Over-exposure on the Internet isn’t always a good thing. Kids may look at Alex and Brooklyn and desire the same sort of online fame, but they need to know that online exposure isn’t always as good as it looks. This level of exposure comes with security issues. The world now knows Brooklyn and Alex’s full names, along with Alex’s place of employment. Strangers are lined up to see Alex at Target and Brooklyn has already received inappropriate attention from online strangers. Kids need to realize that online social sites aren’t for finding fame or connecting with strangers. They are for connecting with known family and friends. Be mindful of the privacy of others. We focus on telling our kids to be mindful of the details, photos, and information they share about themselves. But we also need to make them aware of the information they share about others. They need to understand that they could attract unwanted attention and danger to others when they post their photos without their permission. Not everything you see on the Internet is true. After the news of this story broke, an online marketing company Breakr made claims that they triggered the spread of #AlexFromTarget as part of a viral social media campaign. The story gained traction and began spreading around the Internet as a popular story — until the story was deemed false. Alex’s photo was in fact organically spread around the Internet without any marketing push. We need to remind our children of this fact, and make sure they know they can’t believe everything they see online. The power of social media users is large and profound. We should teach our children to use that power fairly, responsibly, and maturely in order to protect themselves and those around them. Are you unsure of how your teens and kids are using social media? Use the MamaBear App (available for iPhones and Andriods) to connect with your children’s social media accounts so you can be sure they are appropriately using their online platforms.